The fresh green leaves and flowers of coriander (Coriandrum Sativum) have an unusual musky scent, which is either loved or hated. The dried seeds, on the other hand, have a fragrance loved by all. 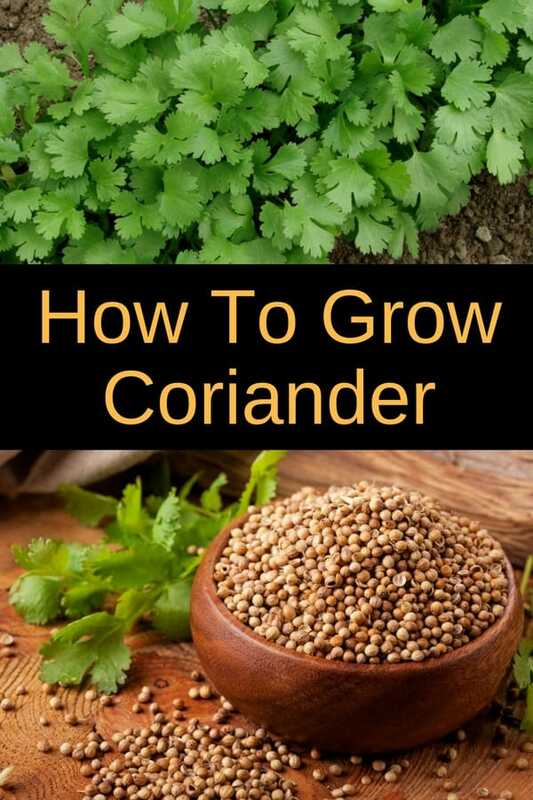 Let’s look at how to grow coriander in your garden. Coriander is an annual plant in the Umbelliferae family, which includes other herbs such as dill, caraway, and fennel. It normally reaches a height of 3 feet but is usually about half that size in cultivation. Both the seeds and leaves are used in cooking. When coriander is green and growing the leaves, stems and the seeds have a very strange fragrance. Some think the plant smells terrible while others are captivated by the scent. While some in the western world avoid using fresh coriander, other cultures, especially India and China, use the leaves almost daily in their cooking in the same way we would use parsley. For this reason it is sometimes called the Chinese parsley. The leaves are also used in the kitchens of Mexico and California, where it is called “cilantro”. Coriander got its name from the Greek “koris” which means bedbug referring to the fetid or “bug-like” smell of the plant. The ancients thought that coriander leaves would keep bugs away. This may have been successful as coriander grown in the garden rarely seem to be bothered by pests. The white flowers of coriander are produced in the rounded clusters, called umbels, typical of this family. The lightly crushed seed is used in breads, pastries and desserts. They are also used to make small candies called comfits. 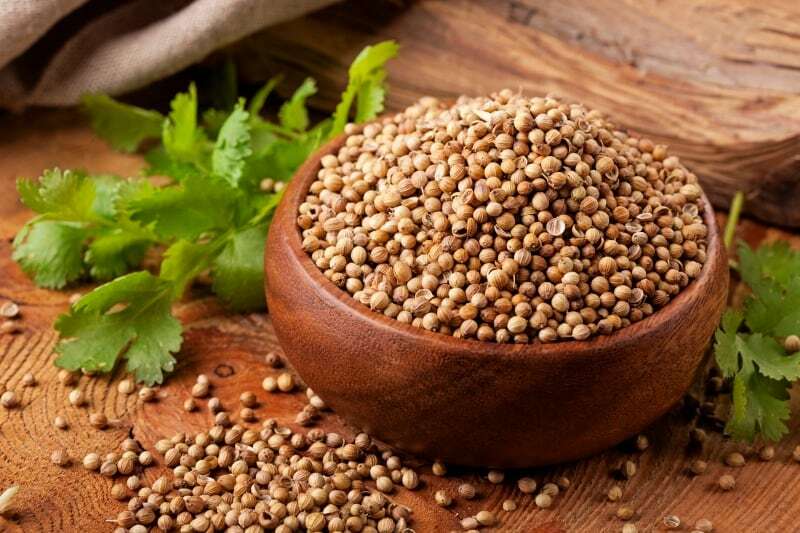 Coriander seed is also an important ingredient in curry powder. The fresh coriander leaf really tastes much better than it smells. Its “green” musky aroma is very different than that of most herbs and takes some getting used to. Just “train” your taste buds, and you will soon become friends with this Chinese and Mexican favorite. 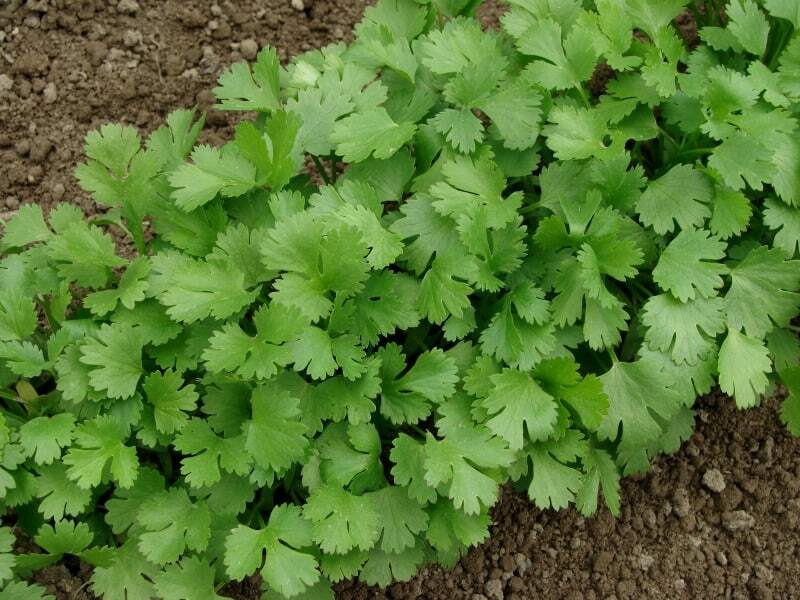 Coriander is very easy to grow, and can be grown from spring to fall. Coriander plants can be difficult to find. It is easiest to grow coriander from seed. If coriander seeds are not available in stores around you, use some from the spice jar. Plant it in full sunlight: any ordinary garden soil will do. Don’t give it too much fertilizer of the flavor and scent will be weak. Sow seeds directly into ground when the danger of frost has passed, or indoors in peat or jiffy pots. Sow in rows spaced one foot apart and thin the seedlings to 3-4 inches apart. Grow coriander in the vegetable or herb garden, in a container on a patio, in a window box, or indoors on a sunny windowsill. If using the leaves, remember that it is the young basal leaves that are used. Harvest them until the plant begins to flower, after which they’ll become tough and lose their taste. Use the leaves fresh as they don’t dry well. To harvest the seeds, cut the stalks when the flowers have become brown and dry but before the fruits have scattered. Dry and clean the seed and store it in a tightly covered jar. Coriander is rarely bothered by insects or disease. Its unpleasant smelling leaves seem to act as a natural “insect repellent”. Aphids may settle on coriander in an “aphid year” when they seem to be everywhere. Rinse and spray them away with water. Never use chemicals on herbs you plan to eat. If indoors, spider mites can attack. Try rinsing with water and pot outdoors for a while. Spider mites do not like cool conditions and are repelled by water. Frequently misting the leaves helps keep them away. If you cannot rid the plant of them, discard the plant.